In a move that reflects Dubai’s rising status as the hub of the region’s New-Media industry, YouTube announced that the city will host the Middle East and North Africa region’s first YouTube Space. 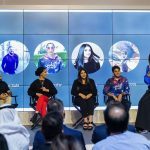 Dubai is the 10th major city in the world to host a YouTube Space after London, Sao Paulo, Tokyo, Mumbai, Paris, Berlin, New York, Los Angeles, and Toronto. Located in Dubai Studio City, the new YouTube Space is a facility dedicated to supporting the growing creator community in the Middle East and North Africa region by giving them access to a state of the art production space. The Space is dedicated to YouTube content creators who will have free access to high-end audio, visual and editing equipment in addition to training programmes, workshops and courses. More than 440,000 creators have visited nine YouTube Spaces around the world since the Spaces programme first launched in 2012. – Creators will have access to 10 areas in the Space. Reception, a coffee shop & co-working space, 2 studios, 1 production room, 2 editing desks, a workshop area, the equipment area, and a ready set that will have a new theme every quarter. – 2 C500 canon cameras, 2 C300 camera, 1 5D camera. – The Production Control Room allows creators to shoot live-streamed and as-live productions using Vision mixing, lighting, graphics, can all be controlled from these areas, while communicating with production teams in the studio is easy thanks to the communications system. 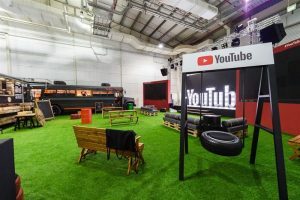 The new YouTube Space in Dubai is the latest in a series of initiatives that has raised the city’s position as the New-Media hub of the region. In December last year, Dubai held VIDXB, the region’s first dedicated event for online content creators. The two-day event organised by the Dubai Film and TV Commission (DFTC) brought together skilled creators from across the world representing a range of entertainment verticals, showcasing content-makers from the Beauty, Comedy, Cooking, E-Sports, Automotive, Travel, Family, and Arts sectors.